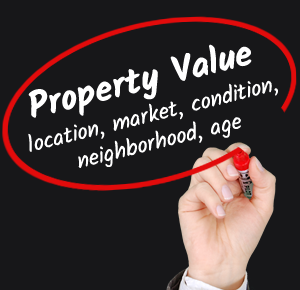 Provide honest, well researched market appraisal for your property with comparable evidence based on location, current market condition, size, age. Provide you with our written terms and conditions of business. Offer competent professional advice and agree with your input (if you so desire) on best approach to marketing the property. Take pictures and measurements of all available accommodation spaces, front and rear gardens areas, each with descriptive content. Offer simple practical, proven and effective presentation tips to create the right impression for the potential buyer. Advice that you obtain required Energy Performance Certificate (EPC) for marketing, if you already haven’t got one. If you prefer and instrust us, we would arrange one for you for a small. We target and update registered serious buyers on our database with new property listings matching their criteria via text messages, emails & phone calls. We would display our “FOR SALE” ad-board to create awareness on passing traffic. We would chase up the selling process once a confirmed offer is accepted to minimise unnecessary delays. We would update our clients with weekly progress report as the case may be. Our job is complete only when contracts are signed and exchanged. All staff are qualified and abide by our professional codes of ethics and practice. And finally, you get overall commitment from our staff. We would not market your property without clear authority. We would not give information that is irrelevant to the selling process. We would not disclose private data without authorised permission. We would not engage in any act that would be detrimental to the sale process. We would not engage in any act that may be deemed irresponsible or unprofessional. We would not display a “FOR SALE” sign in front of an authorised sale when asked not to.